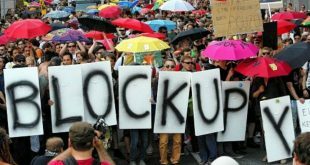 From Frankfurt to Berlin, from the blockade against the ECB to the construction of the first transnational strike, Blockupy goes on. Now the point is to consolidate a political space of discussion, in order to realize processes of organization that make possible a long-lasting massive participation, instead of short-living discontinuities. 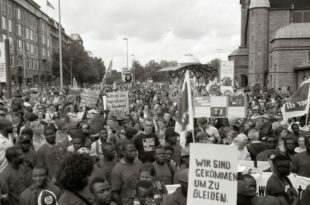 Blockupy was able to protest against the opening of the new ECB building, and also to highlight the existence of a European political opposition against the attempts of silencing the Greek revolt against austerity. We believe that this must be Blockupy: a transnational coordination capable of using political opportunities and of producing them autonomously. 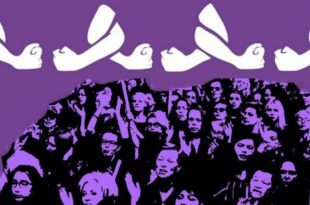 The transnational strike is the opportunity of building a massive opposition and struggle, the chance of making one step beyond. We start from a fact. Mobility is the distinguishing feature of contemporary living labor and what is at stake within the European political space. Mobility is about migrants who daily challenge the border-regime in Southern and Eastern Europe. Mobility is about millions of men and women who every day move from one job to another in order to back out of the precarity imposed by the wage regime and austerity policies. Mobility is about EU citizens, who travel northwards looking for a job that otherwise would not exist. Against the undisciplined and unstoppable force of these movements, the European governance turns into a government of mobility, doomed to run behind the movements of living labor inside and across its borders. Far from being a stable, almighty fortress, the European Union is paying the price of the choices taken in the last years. While recognizing that Berlin is decisive for Europe, we cannot observe Europe only from Berlin. The leading role of the German government is clear, so much as it is clear that the «Berlin consensus» was in fact a generalized consent of the governors towards a system characterized by the unimpeded dominion of capital. Yet, nowadays, when recession is going to end, European governance is attempting to govern a deep political crisis. From Greece to the UK, from Spain to France, each election becomes the announcement of a probable new crisis. Keeping this in mind, we have not to leave Germany quiet but we must look farther, where this consent acts and is operatively built, but, most of all, also where it is daily contested. The scheme according to which the crisis has been governed in the last years does not work anymore. 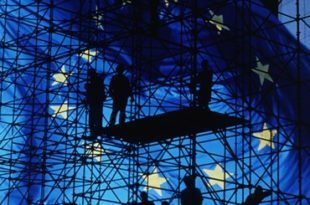 The discourse which systematically attempted to construct a «margin» of Europe – a margin inhabited by poor, precarious, indebted and border countries, who were charged of being guilty for their condition and therefore condemned to submit to the technical rules established by Brussels – does not work anymore. Now that margin claims to be the center and all the attempts to solve the crisis as if it was a technical problem have failed. It is not by chance that this crisis has been violently unveiled by migrants’ movements. The European agenda on migrations approved on May 13rd is a laborious attempt to centralize politically the problem, even if the member States are not willing to pay the necessary price. The agenda aims to launch a regimentation of the government of mobility on a continental scale (with relevant raids in the extra-European political space). The burdening of the Mediterranean countries with the ‘costs of management’ of most of the migrants that reach Europe by the sea, and the expulsion or denial of welfare and residence rights to internal migrants, allowed the other countries to remain ‘virtuous’. From here on, the «relocation system» – that should sort migrants through the several European countries according to their demographic regimes, unemployment rates and GDPs – will become the cornerstone of an unprecedented European mechanism of ‘management of human resources’. By appealing to the «in loco stabilization of migrations», i.e. the new rhetorical frame of the watchword ‘let’s help them in their countries’, the European Commission confirm its will to govern mobility according to momentary productive demands. By strictly dividing the need for skilled labor-force of the member States and the duty of welcoming people, every subjective choice for migration – both individual and collective – which is independent from this scheme is denied. However, this attempt is showing all its limits, because the mobility of migrants is ungovernable and because the Union cannot really afford a politicization of its crisis. This is the opportunity that we can use. We have in fact the opportunity to engage into a political struggle with those who are responsible for European austerity policies and for the government of mobility. This is something that we have already done. Our contestation of the ECB strongly pointed to the European financial government as our counterpart. We know that, on this field, the single governments play a fundamental role in the overall European governance. Yet, to speak of «financial government» means to stress the existence of an institutional dimension that cannot be reduced to national governments and parliaments and must be attacked because of its daily war against precarious, industrial and migrant workers. Consequently, the point is that of making one step beyond in order to turn into a political power able to cross the borders the manifold forms of organization that take place in every corner of the continent, where the struggles for wage, against the dismantlement of welfare systems, for the freedom of movement practically question the hierarchies produced by the government of mobility. The control and exploitation of resources, of territories, of the cities, privatizations and cuts of public services are the other side of the government of mobility: they normalize austerity and precarity. They normalize a precarious and mobile life. We therefore call politicization of the European crisis the capacity of grasping and affirming the unity of all these processes, against the governance that aims to regard them as separate technical problems. Blocking the inauguration of the new ECB headquarters has been possible because a long-standing process, throughout three years of constant transnational political communication, has allowed to take the opportunity offered by the protest against the Bank in order to assert on a European scale the contradictions opened by the results of the Greek elections. In front of this level of complexity and of the European scale of its action, Blockupy must not step back. We must be able to grasp the movements of people, goods, capitals across the borders, inside the corridors, in the special economic zones of production, inside and outside of the workplaces of this new European logistics. We must know that welfare transformations are creating hierarchies which are everyday put into question by internal and external migrants. We must understand the European and global nature of the reforms of the labour market which aim at consolidating the regime of wage. All of this does not just mean to get good instruments to read the changes and the major tendencies in Europe. Quite the opposite: it means to determine the nodes to hit, the problems to politicize at the European level beyond electoral competition, the seats of command which can be effectively attacked in order to contrast the European government of mobility. We should also know that the rapid workers’ turn-over in the big East-European factories pinpoints the rising insubordination towards the regime of wage, the unwillingness to submit to quasi-slavish levels of exploitation, and the will to search better wage and working conditions turning the laws governing the freedom of movement to one’s own advantage. 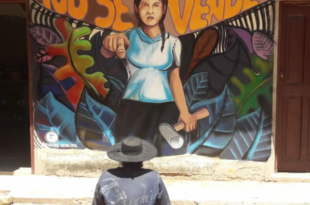 The illegal border crossing or the claim of denied welfare benefits show the existence of practices and languages – sometimes different from the discourse of the movements – employed by those who daily deal with the normalization of austerity policies. This horizon of opposition to the government of mobility is what our gaze should point at. We know it is not simple. 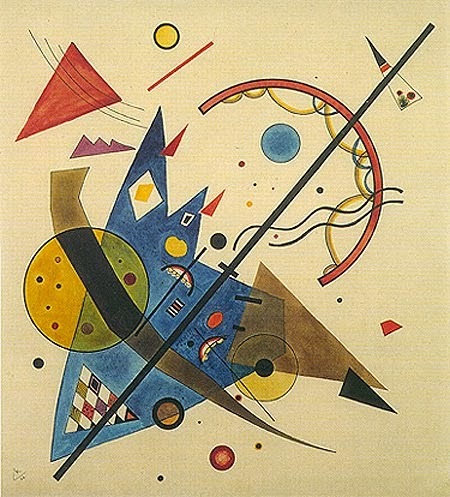 However, we know that we can collectively decide priorities, discourses, and actions which are not only able to intervene into the public imaginary and of that belonging to militant groups, but something which can provide indications, words and perspectives to all those who see Europe only as a monster that shuts down every possibility. Notwithstanding the differences, the difficulties and the mediations, the shared investment inside the complicated organizational process of Blockupy and the capacity to assume a clear political aim, a strong political discourse, an organizational procedure which is demanding but always transparent, allows us today to have a reference point able to speak to the many, well beyond the networks more closely involved. These are the conditions of the project of a transnational social strike. We know that the process of its construction cannot simply overlap with all the already existing processes. This is true not only because it would be practically impossible to direct the energies of the movements and of the networks that animate Blockupy towards only one objective and a single organizational practice, but also and above all because this would not be politically desirable. To imagine the conditions of possibility of the strike means, nonetheless, to focus primarily on the accumulation of strength and a long-term planning. The time and space of the transnational strike are not given, but they constitute the perimeter of imagination and of political organization which we should put in motion. We need to organize an event which is capable of disrupting the transnational chains of exploitation and of connecting different figures of labour across the borders by expressing politically the global fact of mobility. This organization needs a common ground which can bring the event beyond itself and make it politically expansive, becoming a credible political practice for those who, with their mobility, politicize the European political space every day. 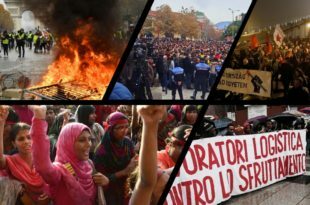 This project has certainly drawn energy from the experience of social strike organized in Italy on the last November 14; however, this experience is not an organizational model which can be reproduced on a higher level. 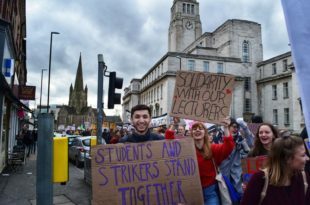 Social strike is not a solution, but a set of problems which concern the necessity of political communication among the different figures of labour, a labour which is not only fragmented but, first and foremost, mobile. The ‘social’ dimension and the dimension of strike should be kept together. 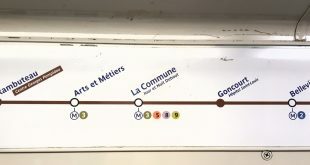 Nonetheless, it should be made clear that the ‘social’ dimension of strike cannot simply address the movements involved in social struggles – housing, commons, autonomous mutualism – but it should speak to those who, day by day, move from one workplace to another, from one place in Europe to another, without ever identifying themselves with a single ‘workplace’, a single profession or a single labour dispute. 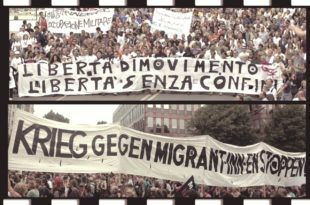 The strike is social if it is able to tackle the political conditions of exploitation imposed everyday by the European government of mobility upon millions of precarious and industry workers, migrants, men and women. The strike is social if it is able to show on a higher level the connection between different dimensions of the new European logistics and the need of a coordinated attack which can enlarge the practice of strike and make it incisive again. 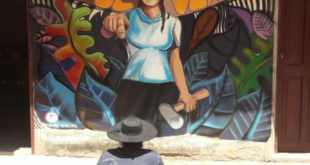 It is not a solution, indeed, but rather a combination of problems which multiply on a transnational scale and which, for this reason, require a complicated organizational work as well as the investment on a shared political plan like the one that Blockupy can offer. Transnational strike can be the process and the event which politicizes the European crisis once for all. It is about taking one step beyond what we are and what we know in order to find out what we can do.